You are currently browsing the tag archive for the ‘los angeles county arboretum’ tag. Cristina Baltayian will resume classes in botanical art starting in January, 2108. 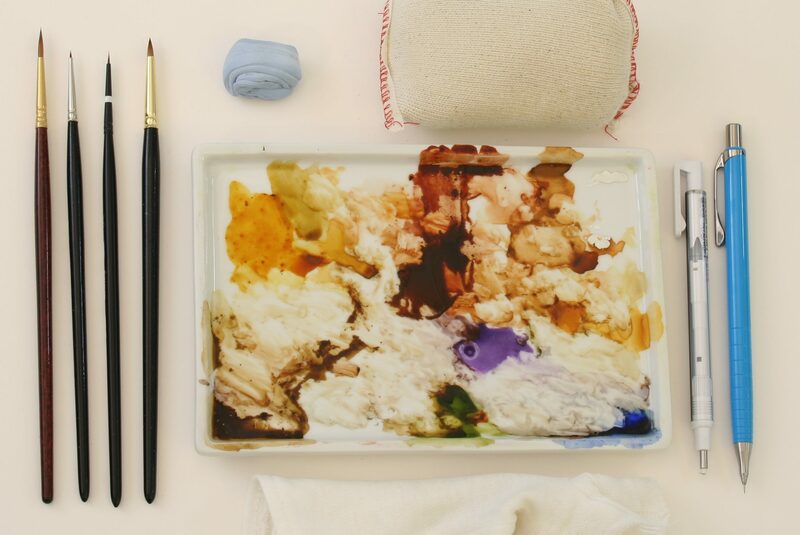 These classes will be exploring color pencil, graphite, pen and ink, and watercolor on various papers, vellum and other surfaces. 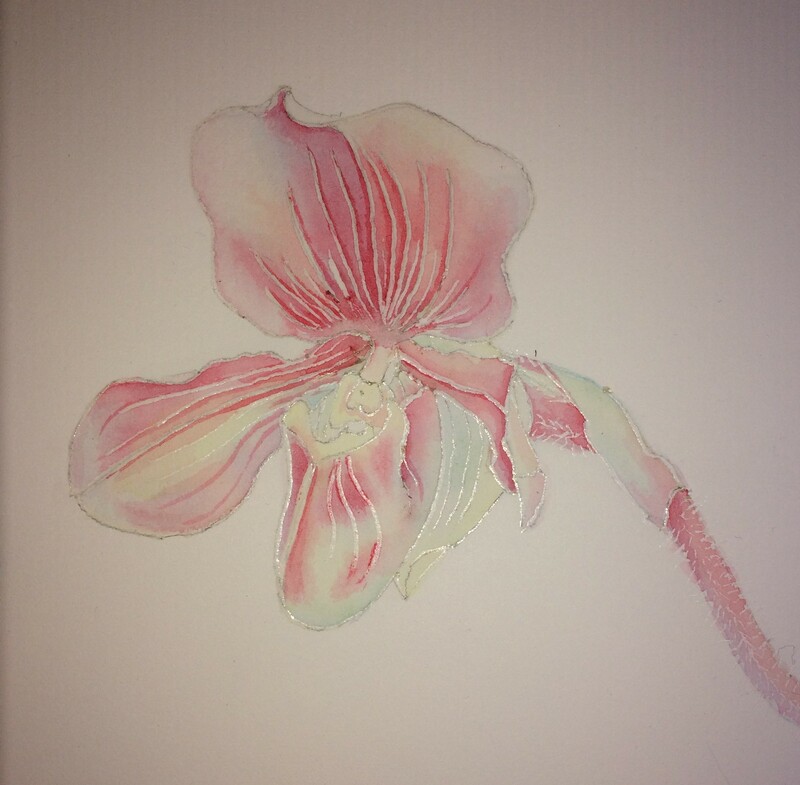 The emphasis will be on plant observation, drawing, composition, color theory and matching, and medium techniques. To Register please call the Education Department at 626.821.4623. 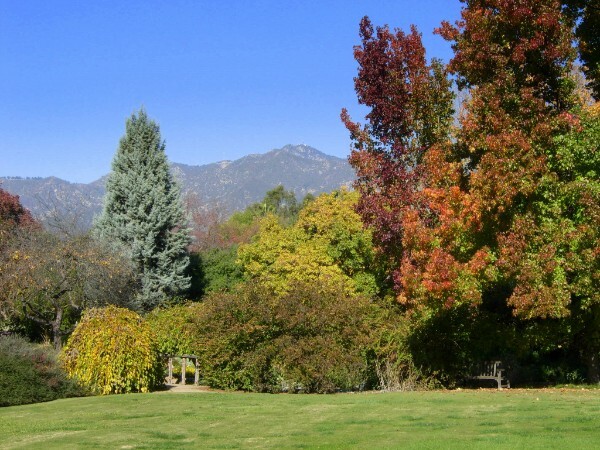 The Los Angeles County Arboretum and Botanic Garden is located at 301 North Baldwin Ave, Arcadia, CA 91007. 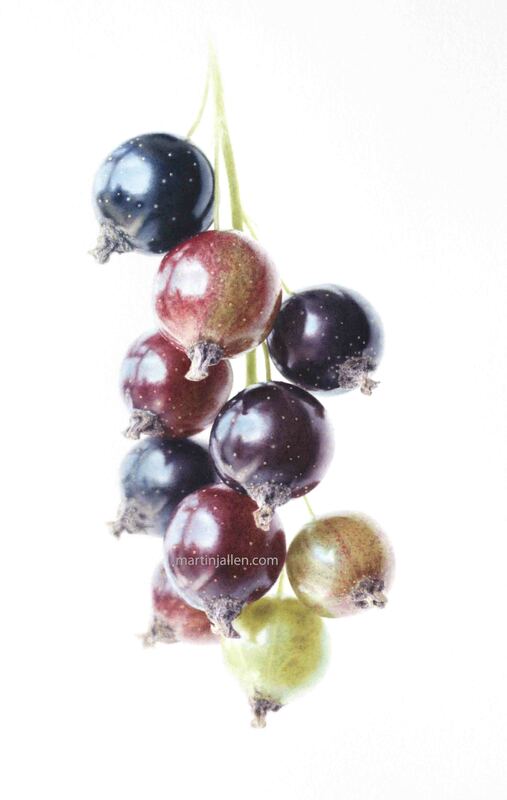 “Every Berry”, watercolor, © 2017, Martin J. Allen. There are still a few seats available in Martin’s workshop. 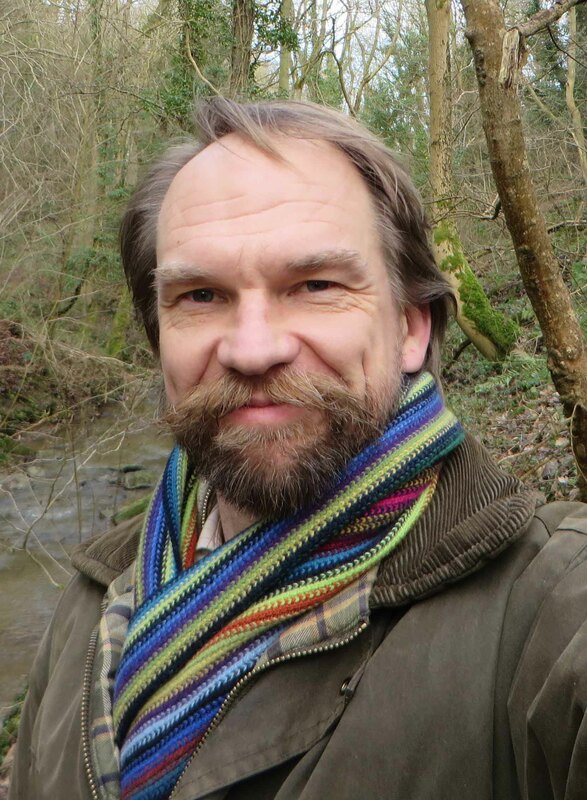 If you were unable to get into his workshops at the ASBA conference, now is your chance to enjoy a focused workshop with Martin, close to home. Registration deadline is Tuesday, October 10, 2017. Please see the BAGSC website for details about how to register, materials list, and other workshop information. Questions? Contact the BAGSC Education Chair. 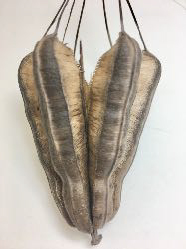 This three-day workshop with Martin Allen looks at how to take digital reference photographs and use them to enlarge small parts of plants to create an exciting new image. Martin will cover how to take useful photographs and the practical challenges of translating that photograph into a realistic image on paper using a straight-forward painting technique. (Please read the full text about Martin Allen on the BAGSC website.) 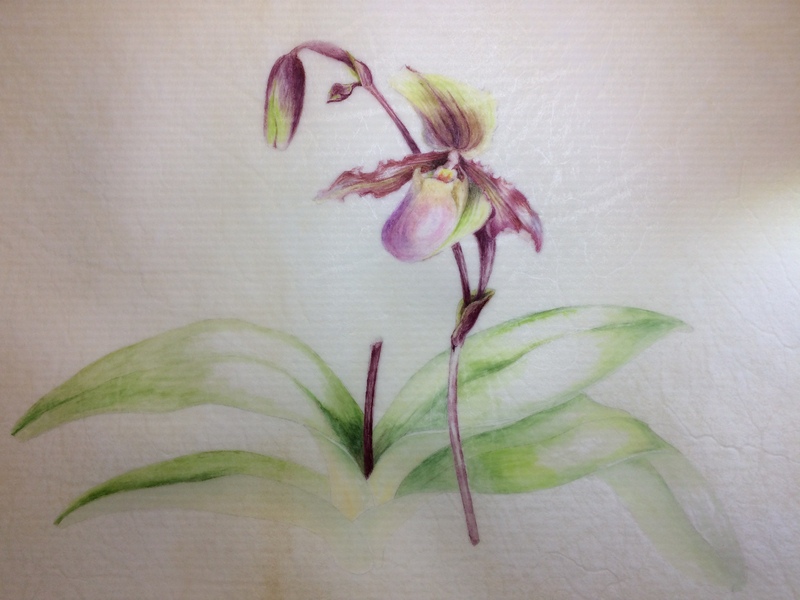 I began painting plants in the autumn of 1992 whilst recovering from illness, studying with Colin Swinton. What was intended initially as therapy, quickly turned into a serious interest. In early 1995 my first Royal Horticultural Society (RHS) exhibit was awarded a Gold medal (the second in 1997 also gained Gold) and in the same year RHS Enterprises Limited commissioned three autumn flower designs as part of their Collectors’ Plate Series. Awards at The Society of Botanical Artists’ exhibitions followed in 1996 and 1998. 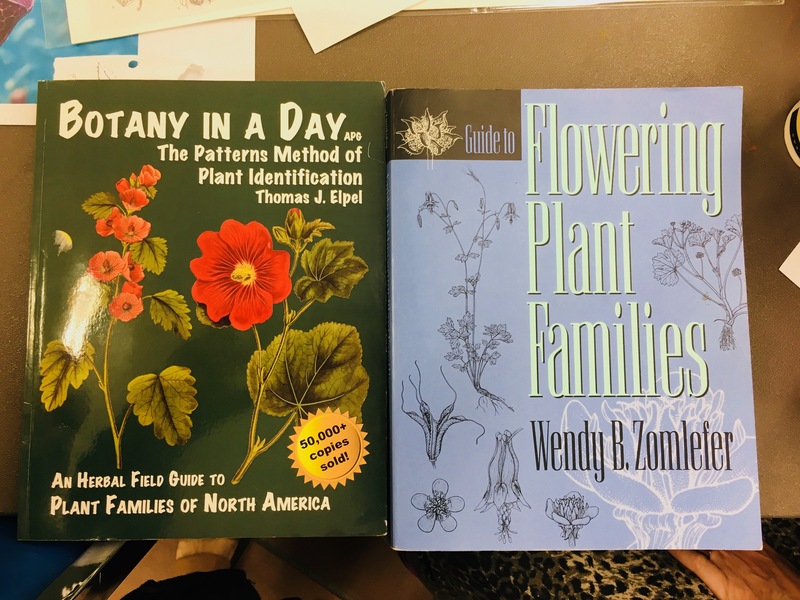 I became a member of the then newly formed Chelsea Physic Garden Florilegium Society in 1995, taking part in their 1999 RHS Gold medal group exhibit, becoming a Fellow in 2000 and regularly writing articles on botanical art for their newsletter. I am now honoured to be an Emeritus Fellow. I am represented in America by Susan Frei Nathan, Fine Works on Paper, and Forum Botanische Kunst in Germany. 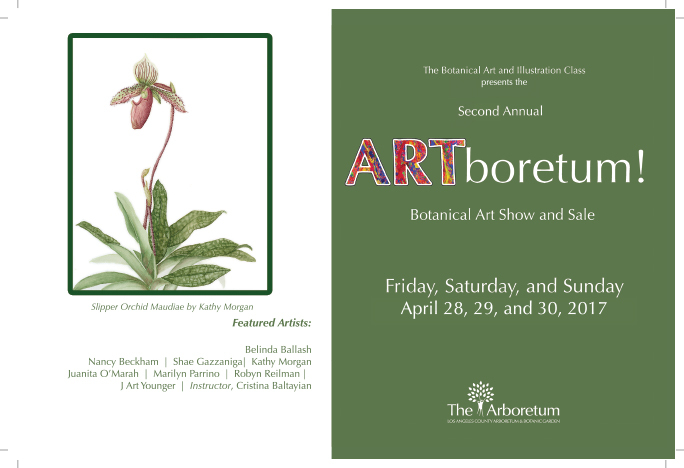 The Botanical Art and Illustration Class of the Los Angeles County Arboretum is proud to announce their Second ARTboretum Art show, an annual art exhibit and sale to be held Friday April 28 through Sunday, April 30 from 10 am – 4:30 pm, and 10:00 am until 2:00 pm on Sunday. Last year’s first event was an amazing success, with more than 60 works of framed art available for purchase, demonstrations, a reception, and sales of beautiful cards and prints of the artists work. More than 700 people attended this three-day event. 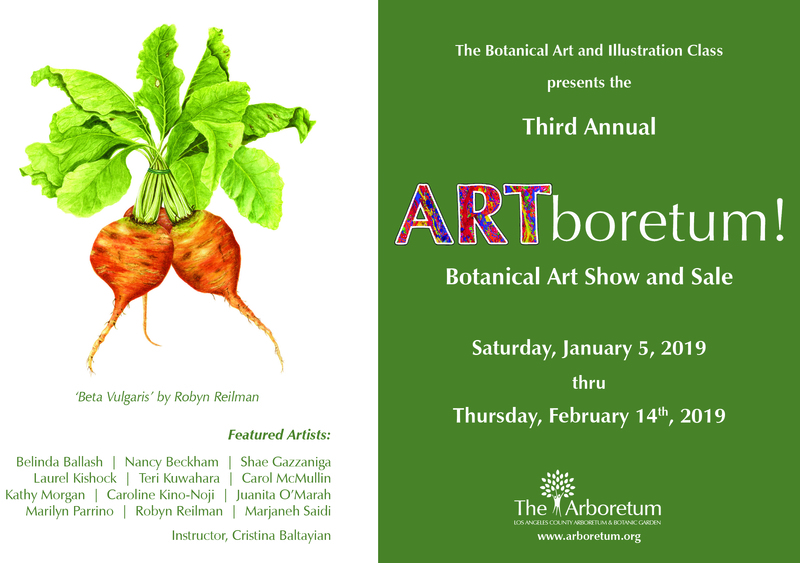 ARTboretum is back this year, with exciting hands-on demonstrations so the public can experience the thrill of drawing and painting plants. Framed or unframed originals and fine art giclées, cards and prints of the work will be available for purchase just before Mothers’ Day. The artists will be on hand to welcome the public and to share their knowledge and love of their art. A reception for the artists will be held on Saturday, April 29 from 1 – 3 pm in the Oak Room. The LA County Arboretum and Botanic Garden is located at 301 North Baldwin Avenue in Arcadia. Hope to see you at this exciting event in April. Save-the-date postcard, designed by Jan and Chas Clouse, featuring Gilly Shaeffer’s watercolor of a California native walnut, © 2017. 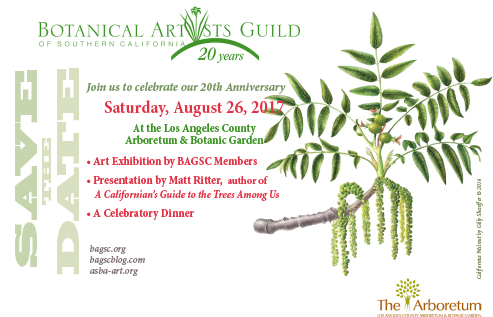 The Botanical Artists Guild of Southern California (BAGSC) is celebrating its 20th Anniversary this year. Mark your calendars–on August 26, 2017, the Guild will be having a gala celebration in honor of our Anniversary. Since its inception in 1997, our group has grown, changed and keeps getting better. So, we have good reason to celebrate. 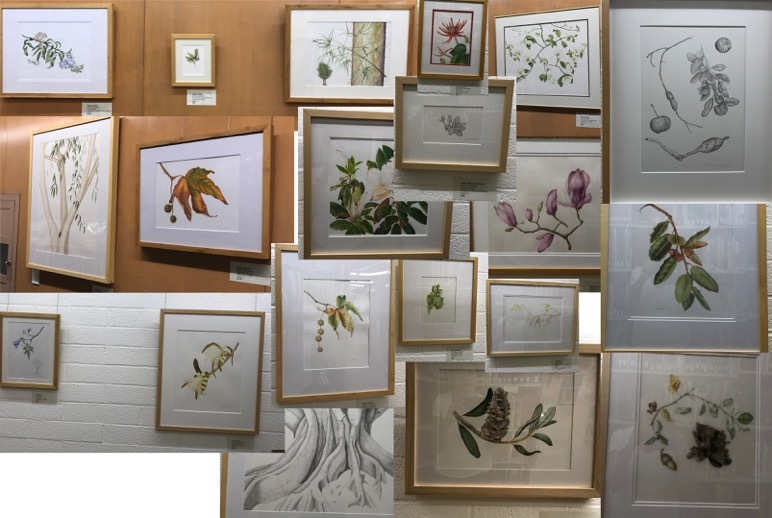 Members continue to develop their botanical art skills through classes and workshops, and, as a result of this dedication and hard work, we have more and more opportunities to show our art. 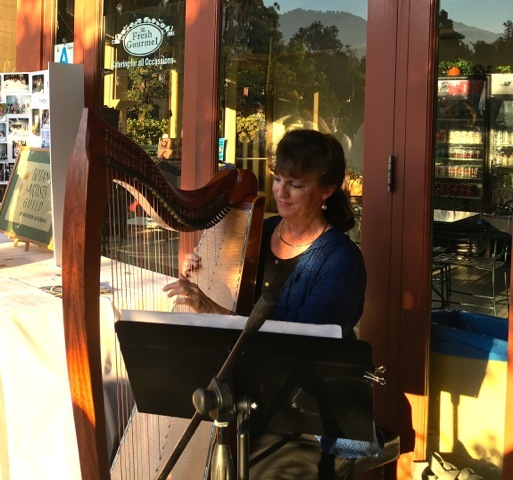 Through outreach, exhibition and educational activities, BAGSC has increased southern Californian’s awareness and appreciation for this art form. We have many activities planned in honor of our 20-year milestone. 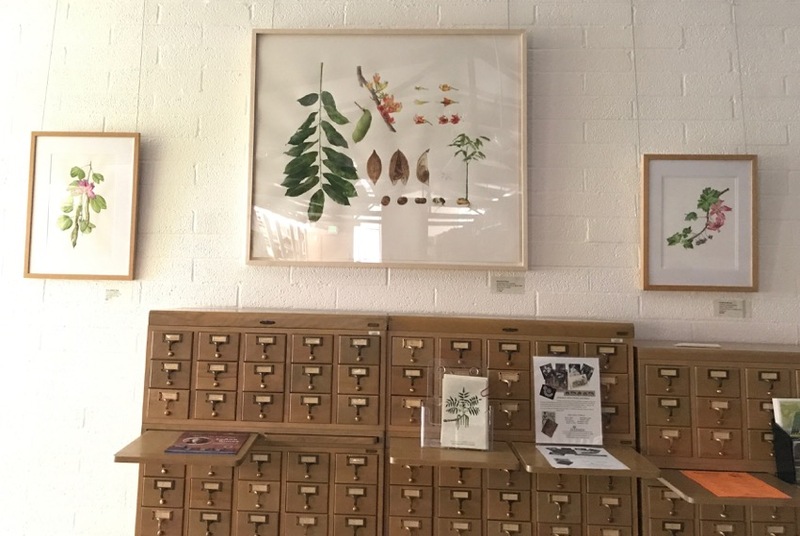 The Los Angeles Arboretum Library, one of our earliest supporters, will be hosting a BAGSC exhibition, entitled “Illustrating the Urban Forest: 20 Years of Botanical Art”. The exhibition will feature trees that grow in Mediterranean climates. Opening in early July, 2017, the exhibition will run until the end of September. 4:00 – Artists will lead a tour of the exhibition and discuss the art. 5:00 – A special presentation will be given by Matt Ritter, author of A Californian’s Guide to Trees Among Us. Matt is a professor at Cal Poly, San Luis Obispo, a tree expert and a photographer. This promises to be a delightful and informative presentation. 6:00 – The Anniversary Dinner will be held at the Peacock Café Patio at sunset. 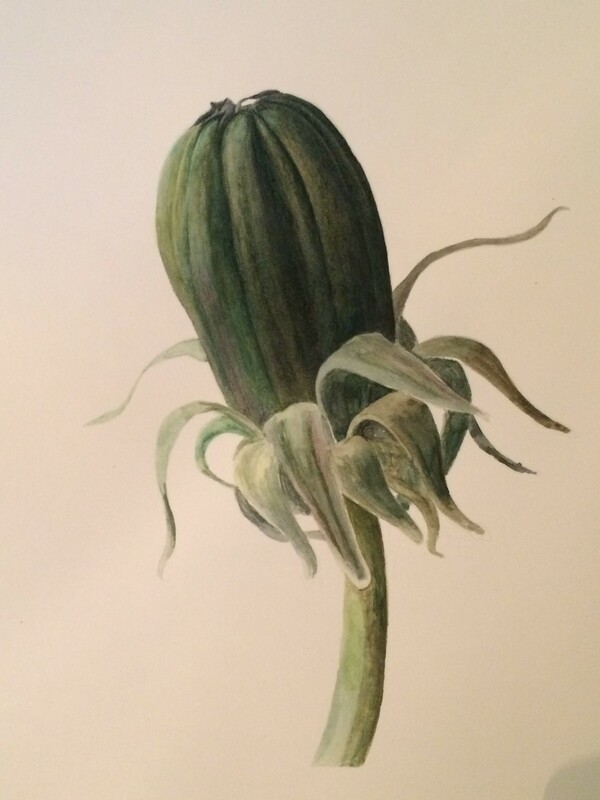 Olga Eysymontt, long time botanical art instructor, will share memories of BAGSC beginnings and how botanical art got started in Los Angeles. And there will be opportunities for all to connect with old friends and meet new ones. Invitations to this special event will be available soon. The suggested donation for attending is $60. Keep your eyes open for invitations and more information. 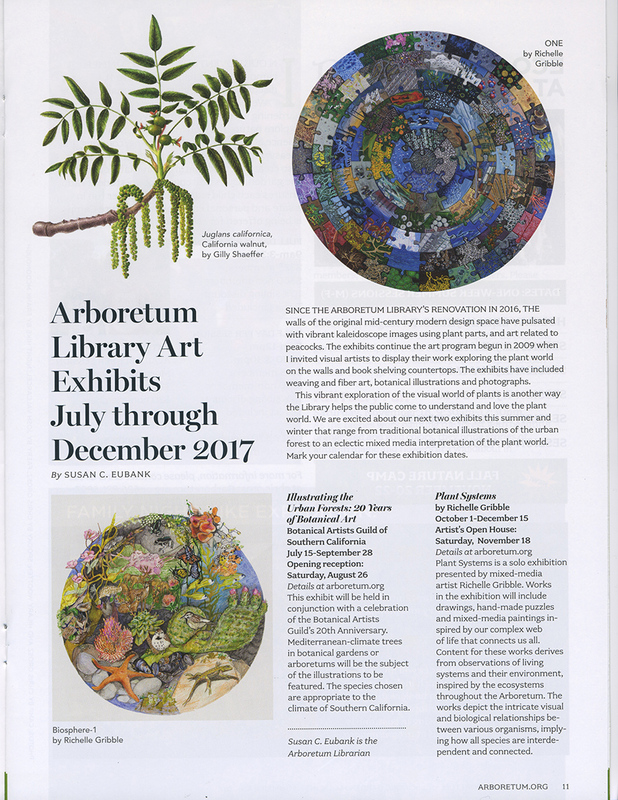 Entries for the exhibition at the LA Arboretum Library, “Illustrating the Urban Forest: 20 Years of Botanical Art” are due May 12, 2017. The “Call for Entries” can be found on the BAGSC website Exhibitions page and in the Members Only section. Questions on the exhibition? Please contact Janice Sharp. Questions about the 20th Anniversary Celebration? Please contact Gilly Shaeffer. 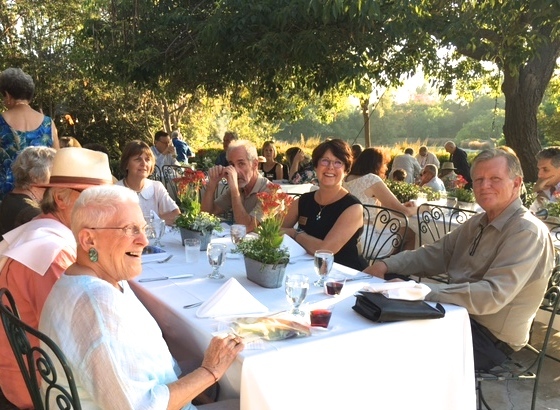 We are looking forward to sharing a beautiful afternoon and evening with members, friends, family, special guests from the Los Angeles botanical gardens community and more. We hope all will join us for this magical anniversary celebration. 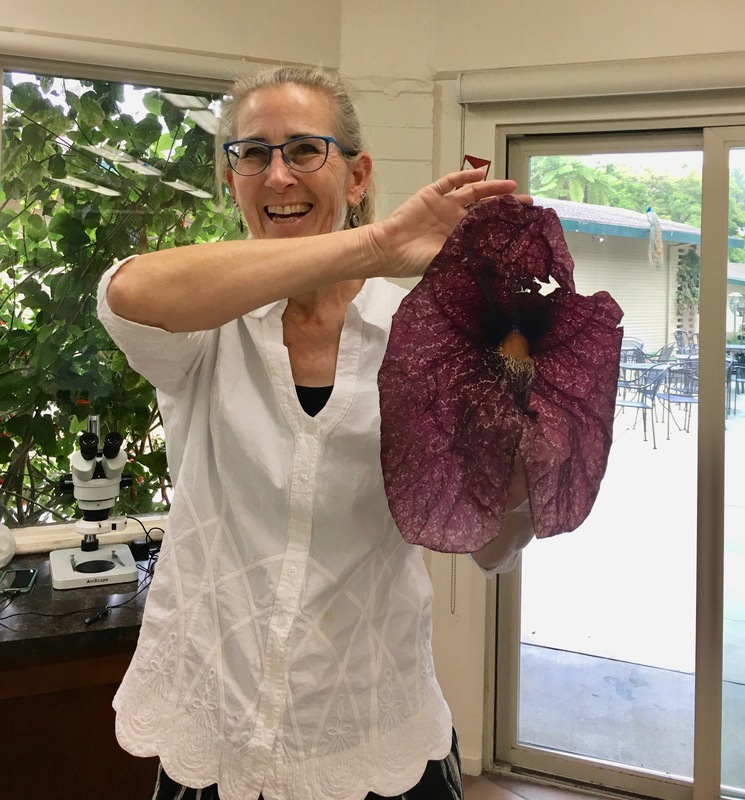 The Los Angeles County Arboretum and Botanic Garden has announced the schedule for Cristina Baltayian’s Botanical Art and Illustration classes. To Register please call the Education Department at 626.821.4623 or pay at the class. These classes explore color pencil, graphite, pen and ink, and watercolor on various papers, vellum and other surfaces. The emphasis is on plant observation, drawing, composition, color theory and matching, and medium techniques. 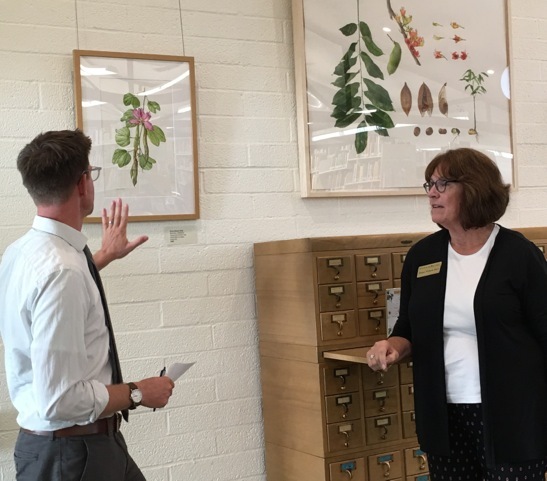 In conjunction with the Botanical Artists Guild of Southern California, students will be studying and portraying many of the Arboretum plant introductions from the last 50 years. 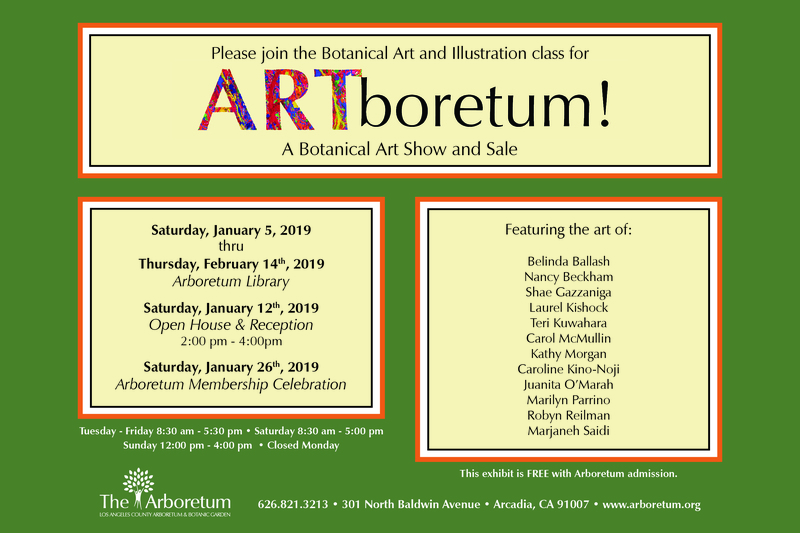 The goal is to build a collection of paintings that will celebrate and document the invaluable contribution of the Los Angeles Arboretum to the state of California. The Los Angeles County Arboretum and Botanic Garden is located at 301 North Baldwin Ave, Arcadia, CA 91007, 626.821.3222. Jerry Turney is back for his final Tree ID class of the Fall at the Los Angeles County Arboretum and Botanic Garden with a new set of 20 trees. Do you know the trees of Southern California? We have one of the most diverse urban forests in the USA. This final two hour lecture will cover 15-20 tree species followed by a walk in the Arboretum to see the trees that were covered during the lecture.